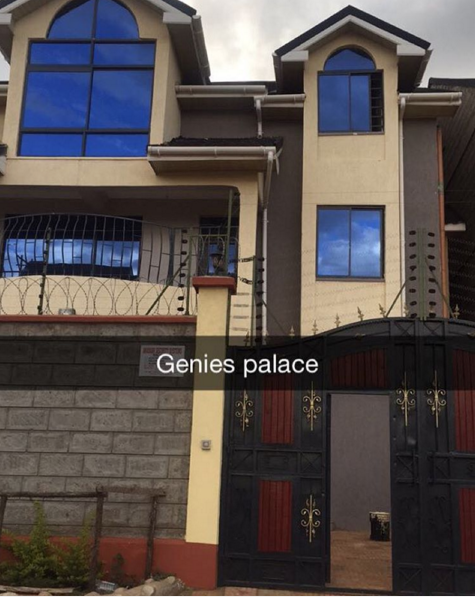 Did Socialite Corazon Just buy a new house? Socialite Corazon Kwamboka has recently been sharing photos of expensive cars and hotels and many rumors have it that she got a new super rich boyfriend aka Sponsor. She was also one of the first socialites in kenya to wear a dress worth 1 million shillings, a watch worth a few million bob plus she is more educated than all the socialites who braga around like Vera Sidika. Well if that isn't enough , corazon has just bought herself a new house. Don't ask me where the money came from but - Yes! she has a new house, which normally takes some kenyans to go past 30 years to acquire one.